The first and only medical-grade black eyelash extension adhesive. Experience a new level of freedom with the next generation FlexFusion® Adhesive with Rapid Cure Technology®. This hypoallergenic, medical-grade eyelash extension adhesive features an upgraded formulation that delivers enhanced curing (drying) speed and a thinner, easier-to-use viscosity for expert, seamless attachment. This innovative formula offers a synergy of benefits without compromising performance, comfort or lash longevity. 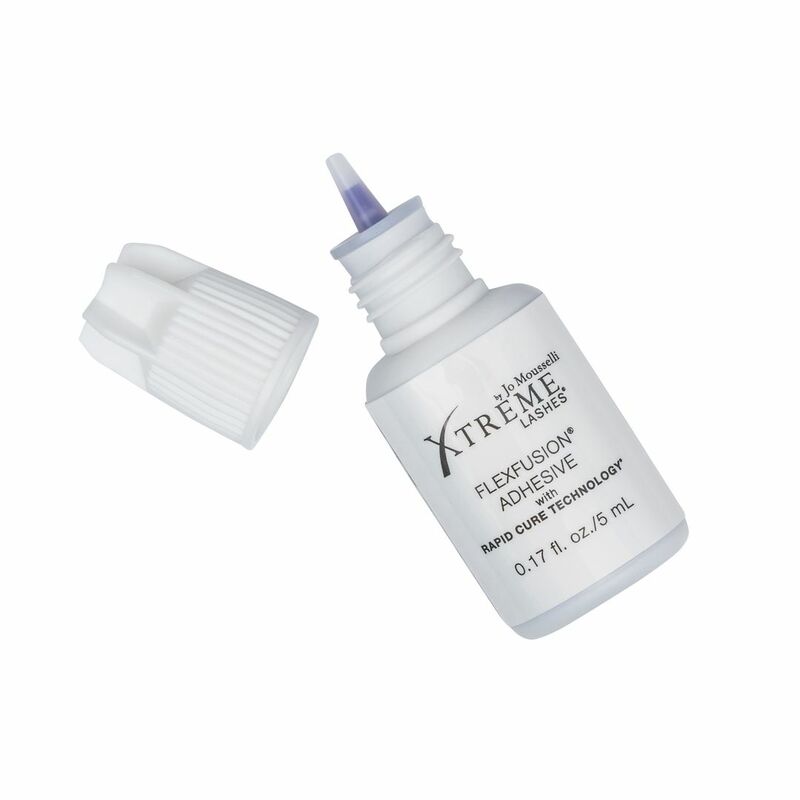 Designed exclusively for use with Xtreme Lashes® Eyelash Extensions, this adhesive is recommended for use on all consumers, especially those with sensitive eyes or contact lens wearers. Use in conjunction with Eyelash Primer during every full set and Relash™ application. This essential product dissolves residual oils and optimizes natural eyelash pH, resulting in an ideal foundation for faster, more seamless, and longer-lasting attachment. Insider Tips: If using the Black adhesive, please shake the bottle vigorously for 20 seconds before each use. Additionally, basic makeup application and normal lifestyle can resume after the eyelash extension application. However, spray or airbrush tanning, exposure to excessive steam and heat, contact lenses insertion, and use of non Xtreme Lashes® cosmetics and skincare products should be avoided within the first 3 hours.